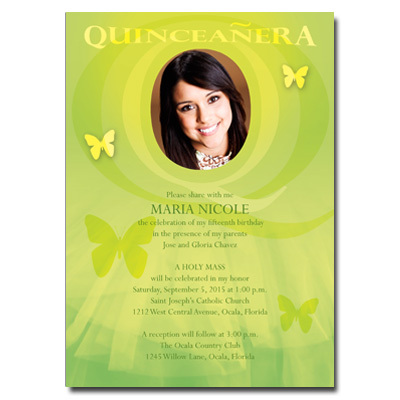 This brightly-colored Quinceanera invitation is perfect for a spring event. Butterflies and a subtle tulle texture adorn the design, while a photo of your child is framed with a radiating 'Q' at the top of the card. Your personalized event information is printed below. Card measures 5x7.